Boneshaker Zin: Trick and Treat! 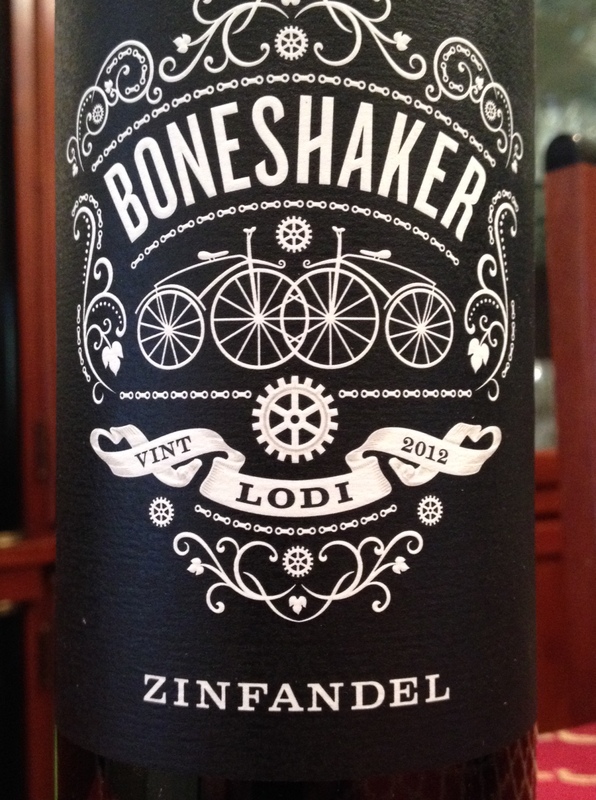 Boneshaker Zinfandel 2012; Hahn Family Winery, Lodi California. Retail $19.99; street price approx $16/bottle. 15% ABV. The first days of fall. It’s the time of year when I finally start drinking red wines again after finishing out the ‘indian’ summer stock I have left. Early fall requires you to transition back to cooler weather and look for solutions (activities, clothing, and yes, even wine) that can handle both hot and cold, chilly fall breezes while you break a sweat under the hazy afternoon sun. Syrah and red zinfandels are ideal choices right now, but the one wine that has topped them for me is my trick and your treat: Boneshaker Zinfandel from Lodi, CA. Deep purple color with violet edging, the nose is a jammy boysenberry. On the tongue: black plum, blackberry, and cassis bursts through the palate leaving residual heat in its wake (15%ABV). Slowly you revel in cacao and spice box on the finish, as the tannins unexpectedly slide into home plate leaving your mouth aching for another sip. This is the perfect fall wine to drink from late afternoon watching the sun turn clouds into pinkish orange cotton candy, and to pair up later in the evening with fall chili or those spicy BBQ ribs you’ve been jonesing for. What could be better for All Hallow’s Eve? Nothing but Boneshaker. The label, a retro industrial negative design of wrought iron, early bikes and split chain links, provokes the essence of early leather-clad riders on motorcycles, and the barn where you made out in the hayloft as a precocious teenager. Turn the light off, and watch it emit an eerie green glow in the dark. Just enough trouble, and too much fun. Lodi, you keep me guessing with surprise after great surprise. Well done, and Happy Halloween!